Flexible seating is a choice provided to students that allows them to work around the room comfortably and focused. It provides students the environment they need to be their best. These seating arrangements can look wildly different from room to room, and the depth of implementation can too! Every year we have students who do their best when they can get their wiggles out, students who do their best standing, kneeling, or in a number of positions that only little bodies find comfy. Students do their best when they are comfortable. Heck, I do my best work when I'm comfortable. A colleague of mine encouraged me to give it a try, and probably like many of you reading this I thought, "Where do I even begin?" Fears began to race through my mind. What if this doesn't work? Am I turning my room into a recess zone? How am I going to manage this? 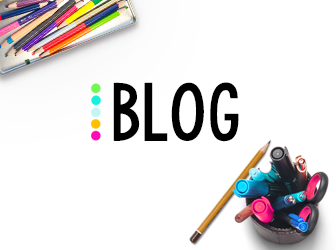 Below, you will find an easy to navigate description of how I funded, introduced, and implemented flexible seating (and of course the results). I’m happy to say that while we had some good, bad, and ugly days in the beginning, it’s now an integral part of our learning! The more choices students have the more they will feel invested and responsible for their learning. When I give my students choices I see greater engagement, more excitement, and a higher desire to learn. Their effort increases and there is a certain amount of pride that comes out in their work. Educators have an incredible amount of options available to them when implementing flexible seating. Below are a range of free, moderate, and higher priced flexible seating options. Check out all of my favorite classroom resources here! Pillows - they have a lot of different options from long body pillows, pillow chairs, fun shapes (my kids loved a poop emoji pillow I found here), and little squares. Our PTA gives us an allotment of money to spend on our classrooms each year. This year I used mine towards some of our seating! What the PTA didn’t cover I submitted a project on donor’s choose, and asked for parent/community donations. 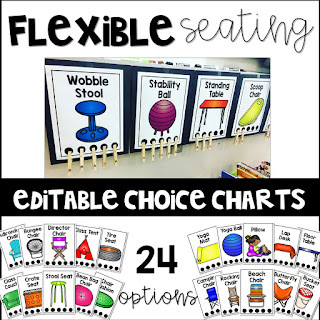 Here are some options for funding your flexible seating! 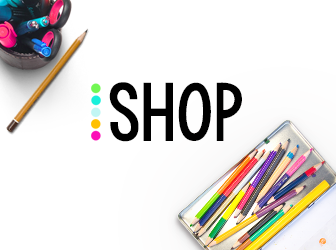 5 Below has amazing and affordable tools for flexible seating. -Create a project to be funded via crowdsourcing. You can share these projects with family, friends, and social media networks in seconds. -There are also online resources like Freecycle where you can pick up free items others in your area no longer want. It reminds me of a virtual curb pick up. You can see what people are offering to give away for free in your neighborhood. -Describe your vision to the PTA and ask if they would be able to help cover any part of the cost. -Start a classroom fund, let parents and community members know your goal and ask them to donate towards your classroom. -Check out local garage or rummage sales. -Look at donation centers such as Goodwill or the Salvation Army. -Late spring check out college areas as many students are getting rid of furniture they no longer need. The idea of flexible seating can be overwhelming at first, and that’s OKAY. You can start small, see how it goes, and add more options as you go. That’s what we’re currently doing! This approach allows me to see what’s working for my kids and what’s not. We make changes, improve, and keep moving forward. Initially I shared the idea to students in class, wrote a note home to parents notifying them of the exciting change happening in our room, and asked for donations. You can grab that letter for FREE near the end of this post. During the time of collecting donations, donors choose project funding, and my personal shopping for items I prepared the students on what to expect when we began flexible seating. When first introducing the idea of flexible seating to my students they became extremely excited, I could tell their little eyes were filling up with all sorts of off task ideas. To keep this train from derailing we talked about being strategic in where they chose to work. We talked about what strategic meant and why that would be important. I listed the initial options they would be able to choose from (pillows, carpet squares, exercise balls, and standing). We then we brainstormed ideas of when you would choose to use an exercise ball (reading, word work, small group), when you would choose to stand (partner work, using manipulatives, centers), etc. For the first 2 weeks I walked around asking students why they choose their work space. This held them responsible for choosing an appropriate seat for their task. At times students were thoughtful and deliberate in their choices, other times they responded with, “…because I wanted to do what –so-and-so- did.” (Remember: This is a work in PROGRESS! It will not be perfect from the start.) 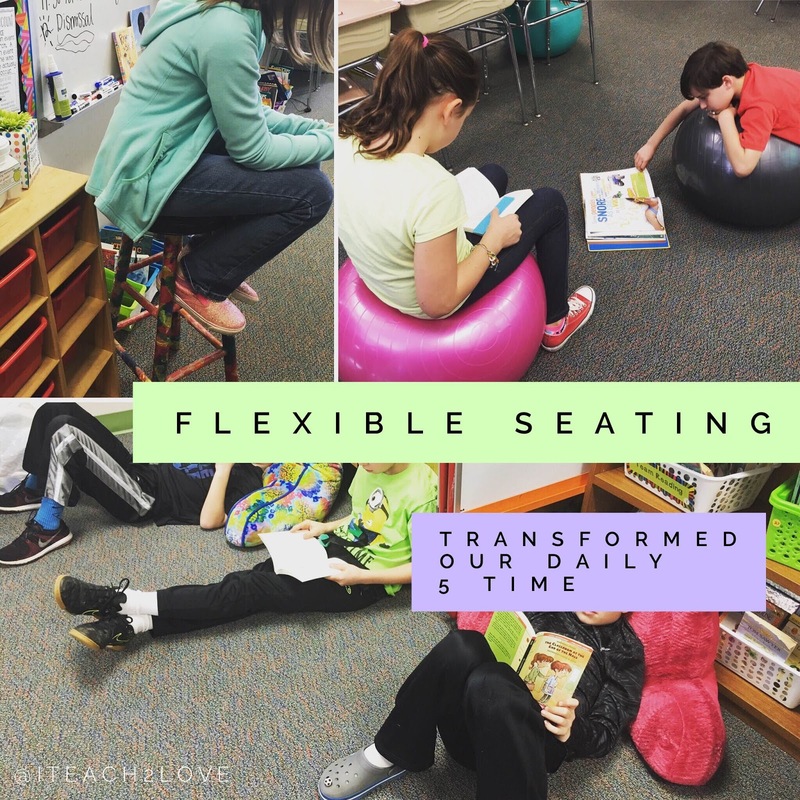 Over time, we continued to discuss the expectations, the WHY behind flexible seating, and now they’re independently able to make strategic choices. After reviewing our classroom rules for flexible seating students signed a contract. You can grab that for FREE as well. 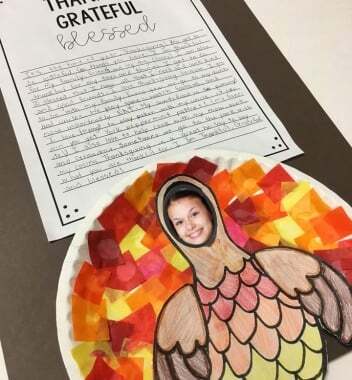 This contract helped students view this opportunity seriously and show that they understood it needs to be respected as much as our other classroom materials. -I will choose a work space where I can do my best. -I will be a good classmate by making sure my body movements and work space will not disrupt others learning. -I will respect the classroom materials. I had tried using a student rotation schedule in the beginning but found that it wasn’t nearly as effective as students picking their seats. It took away choice and made more work for me in creating centers that matched those specific students with their specific seating options. As our options grew (as donations and funding became available) the schedule became too complicated, and wasn’t benefiting the students enough to continue with it. After a few days students would want to rush to the same spot/same resource and it became a competition of who would get what type of flexible seating. In no way was this the type of environment I was trying to create. We had a classroom discussion about why we are doing flexible seating. I reminded students that my number one goal when using flexible seating was for them to be relaxed and find the best work space possible. What works well one day may not work best the next. Subsequently, each day forward they had to choose a spot that was NEW to THEM. Each week we started over, but this prevented the same students from always having the same resources or spots. Students fell into the routine of choosing a new spot, quickly, quietly, and no arguing. As time has gone on I've added choice charts (see below) which have been a great visual addition that's helped immensely with the management of choosing spots. Whole Group- As we still have our classroom desks, students sit at their desks or on our front carpet for whole group instruction. I love to have students turn and talk and this keeps them close for that. This year I also have a friend who really needs to move around, stand up, etc. He recognized through flexible seating what works best for him so we moved his desk to the back and he is allowed to stand and move as needed to pay attention during whole group instruction. Small Group- When I teach small groups I pull them back to work at a table with me. We have exercise balls around the table that students use. While I meet with students for strategy groups the other students are working on their weekly centers. They are allowed to pick any work space as long as it follows our classroom rules. My classroom is not 100% flexible seating. We use our desks in combination with a fantastic amount of flexible seating options. It started off as a small endeavor to see what impact it would have on my students and has grown into a wonderful integral part of our work space. Someday down the road we may move towards 100%, but for now I love having the option of using our desks OR our flexible spaces around the room. The desks are a place to house their materials and aid their organization. State testing requires us to have students in rows of desks, another reason why we keep our desks. There are some amazing teachers out there, like Angie from Lucky Little Learners, who did switch to 100% flexible seating. Check her post out here if you’re interested in that. *Focus and productivity have sky rocketed. *Students enjoy the extra responsibility of choosing a strategic work space and take their learning more seriously. *Students have a better understanding of what work best for them! I’ve even had parents say they’ve noticed their child picking new locations at home when reading or doing homework. *Students are able to engage in tasks longer than when they were stuck sitting in their hard desk chair. letter and student contract forms. Grab your own editable choice charts here! I love seeing how other teachers use flexible seating in their rooms. 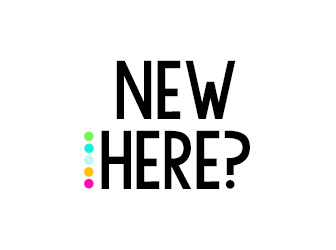 This is where I'll be adding pics and ideas I see from other amazing teachers! To the right, Simply Kinder had the great idea of placing her exercise balls in crates. This helps keep them in one place, but allows students to move in their seats! Great ideas here! Kids love choices and the independence that comes with the system you've set up! Thanks so much for sharing this! Very informative post. I really like that you have rules that go along with flexible seating. Thanks for the free downloads. They will be really useful. I love the idea of flexible seating! Great post! So smart to include a contract with your flexible seating. It's so important to set clear expectations, right?! Thanks for sharing! Great post! I have been thinking about trying this in my room. I love all of the suggestions. Great ideas and feedback about how things worked out. Love your solution for students rushing to get certain seats. That was really the only problem I had when I used partial flexible seating this past year. I wasn't sure I wanted to deal with the arguing and all again next year since it seemed the kids didn't get the point or benefits of having options. Now I'm sure we can make it work next year--thanks so much for coming to my rescue! Absolutely! I'm happy it can help! I loved your post! I'd love to try this with my fourth graders in September. How many flexible seat positions do you have? Is there one per child? How do the children who don't get one and remain at their desks react? If it is a test, are they required to remain at their seats? As you can see, this is all new to me. Thank you so much! Hi Kathy! I don't currently have enough flexible seating options for each student to have their own "special" option. However, many students prefer to read around the room (without a carpet square or pillow) and they're allowed to take white boards around the room to use as a hard surface and find a comfy place to work. Since we have a schedule and the students see the rotations as fair they aren't upset on days when they don't get a specific flexible seating option. As far as test taking goes, for state testing all students sit at their desk with regular chairs (personal preference). For classroom assessments I allow them to work around the room as long as they follow our agreed spacing (not close enough to touch another student). 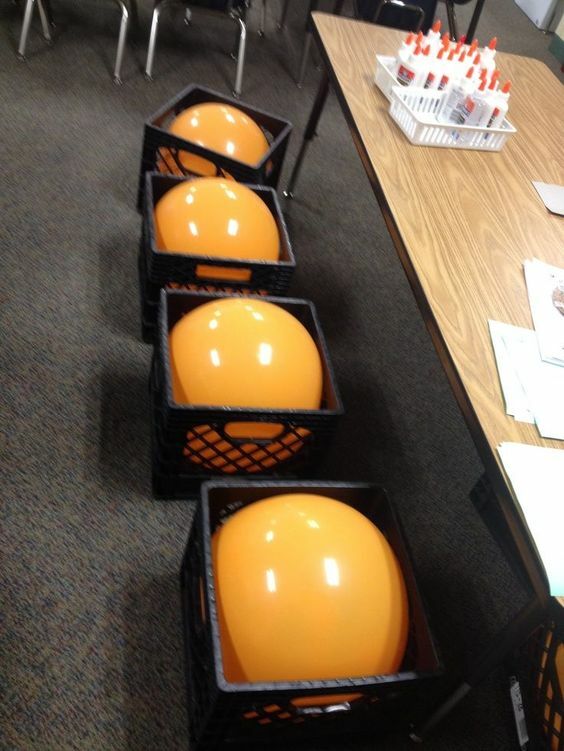 We do have a teacher who uses only yoga balls in her room for chairs, she was able to use the yoga balls during testing because they had been in place 30 days before the testing. I know this will look different district to district and state to state though. Hopefully this helps! Thanks for your thoughtful comments. I am considering alternative seating for several reasons, and I am really excited about the possibility of this being THE YEAR. I do not have the option of having both a full set of desks and other options simply because of space limitations. I am wondering about testing, but also basic efficiency issues. If we only have our lockers for individual storage, what will it be like moving back to them repeatedly throughout the day? So many questions...Thanks for sharing your ideas and successes! Hi Heidi! I hope that this is YOUR YEAR and that it works out wonderfully for you! Flexible seating is such a great practice once procedures have been established. That looks different in each classroom, and I'm sure you will find what works best for you. :) If you move 100% to flexible seating without traditional desks you can consider having rotations of when students visit their lockers, or have bins with community supplies at each center around the room. Another option might be to have those small drawers near each area and have students house their materials in there. I'd love to hear more about how you decide to set your room up! :) If you have any questions or want to bounce ideas around let me know. Best of luck!! Thanks for your reply. I am wondering what would you suggest because my partner teacher and I switch students at least once a day. I will be teaching all the ELA and the science to our 4th graders. What do you think of the idea of having a shelf for textbooks and book boxes so they won't have to haul so much stuff? I like the idea of community supply spots around the room. I will keep you posted. I am really thinking about that first day and what to do with the students at the very start of the morning. I think they are going to be so surprised, and I want that to be a positive feeling. Any thoughts? Thank you! I love love love this - we need another dinner at #tptorlando16 (and hours beyond, probably) to talk about this! I'm trying to move into this and love how you've outlined it ALL! Thanks, Shannon! I am in the process of putting together the black milk crates and exercise ball seats! Do you know what size balls they used? I don't know, I can tell you though that the yoga balls from 5 Below would be too big to fit into a crate. I am ALMOST fully funded on my Donors Choose for this exact purpose, but I am really really stuck on how the kids pick their seats? What is the best process? I don't have 3-5 minutes to give 28 5th graders time to rotate through to pick their seats for the next day. How did you orchestrate this? That's wonderful! Some things that worked for me were to initially assign students an area, that way there was no fighting while we were learning to use the different seating options. After a while though, we discussed what options were best for what type of activities. Once we established that students made choices themselves, the majority of the time they were quick and effective. If more than one student wanted an area they played rock-paper-scissors and the winner was able to use that seat for that activity. Wow! Thank you so much for sharing about flexible seating. After teaching 33 years, I am going with flexible seating after spending the summer reading, planning and purchasing. I LOVE how you answered the questions that are on everyone's mind. Thank you. Hi Janice! Thank you for your kind words. I hope that you have a successful and fun year using flexible seating!! Hi, I teach 1st grade. I started flexible seating 3 days ago, and although I'm willing to stick it out and be brave for a bit longer, I have some concerns. Sometimes when they are working on a low spot like the rug, I find myself letting go of mistakes with which I would have helped before simply because they are SO LOW and I don't know how many times I can bend that far. Has that been a concern with anyone else?? How do you handle this? Also, I have my firsties keep their journals and practice books in book bins that are in numerical order. Some take forever to get their stuff and others end up picking up someone else's books quite often. How do you deal with something like that? It really makes me miss when they had their stuff right at their desk. I really want to stick it out. Please help. Cushions, cushions and more cushions...for around the coffee tables or just on the floor. Students quickly learnt to work away from disruptive friends if working alone but also so great for small groups. It became quite obvious which seating matched which child's learning style..interesting to observe. So I would recommend giving it a go, maybe for part of a day or for certain subjects! Dis you keep a desk for all your students or just a few? Thank you so much for sharing! I loved hearing about your experience. That's great to know what options your students have tried. Isn't it neat watching how learning style needs can play into flexible seating! I've found most students find their most effective seating options after a couple of days/activities. I wholeheartedly agree that trying part of a day or rolling it on in certain subjects is an excellent way to get your feet wet. It's also an effective method for introducing the concept and expectations to students. Thanks for the comment Aussie Teacher! How do you have room in your class for regular desks AND flexible seating options. I barely have room for desks!!! Since I have to keep my students' desks in our room (I have 26 students this year) it takes some creativity for usage and storage. I try to get smaller/mobile items that students can move around the room. I also had the custodian lower our 3'x 6' table (that used to be where I housed papers/centers) to about a foot high so the students can use that as a "desk" option to work at - it's great for collaborative projects. I've found that pillows, carpet squares, lap desks, yoga balls (you can store these on top of chairs that are upside down on top of the desk - the legs hold them perfectly! 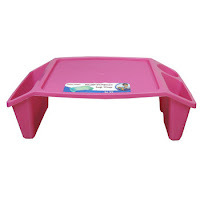 ), stools, clipboards, wobble stools, yoga mats (I cut some in half), and scoop chairs don't take up a lot of storage space yet give students choice of what to use and where to use it around the room. Let me know if you have any questions - I'd love to help you brainstorm what could work for you and your classroom! Ok - so just to be sure I understand - Do you have 26 stand alone desks plus alternative seating, or desk space for 26 (desks and tables)? I have been gathering seating options over the last day or 2 (stability ball, crates and cushions, seating at emptied shelving space (room for legs) in front of windows, small table with lowered seating. I have 27 grade 8s in my homeroom, 28 grade 8s that I teach SS to, and a SS class of 30 grade 6s. My classroom isn't large, but I think I can make it work! Thanks for the inspiration! No worries. Thing have been going pretty great. I was able to get a kitchen booth off Buy and Sell (L bench, 3 roller chairs and table) for free! Seats 5 comfortably. Also a bar height table and 4 stools. To make room I removed 12 desks from my classroom, but now have seating for at least 32, that takes up less space! The kids love it. We are still learning how to use it properly, but my grade 6 class really seems to get it. The 8s will need more training. ;) Still hoping to find a coffee table height table to complete things. (or one I can cut down). Thank you for sharing!! I really want to implement this next year! How do the kids choose their spots is it just the first one to get gets to use it? Do they get to go to a different spot during the day whenever they want? When they come back to the room after special or from a restroom break do they go back to their desk? What worked for me was to initially assign the spaces for each activity, with flexibility for students to use the space differently. During that time I would explain why I choose the seat for that activity (ie: using a yoga ball at a table for typing was a good idea, but using a yoga ball and holding the laptop on your lap wasn't...etc.). This way there wasn't fighting during the roll out. Once we established routines students make choices themselves. Most of the time they are able to quickly pick a spot and get started. I've taught them to rock-paper-scissors for a space when two people want the same thing. With practice they've become very effective at managing the spaces themselves. I teach whole group on the carpet and that is our "home base." I also have their book bins lined up along the front wall under my SMART board and they know to grab a book and read while they wait. It does take practice, but once they get it, it works so well! My whole group lessons are considered mini lessons and are only about 15 minutes long at a time. When students move to work independently or in pairs for practice (depending the activity) they will then find a flexible seating spot around the room. In my room they can choose a different spot for each activity if they want (it doesn't bother me). I totally get the "chaos" feeling - that's exactly how I felt when I started. A good way to dip your toes in is try it for one subject each day for a week while you're introducing it and slowly add another subject. My students love having the opportunity to feel in control and choose but they know that choice is only theirs as long as they're being respectful and following our class expectations. :) I hope this is helpful! I like this! I've always had desks as home base. I think I might try the carpet as homebase with the book crates. I love this idea! I have also gone partial flexible seating. I have 6 tables where all of my students sit during whole group but during small group they go where they want using cushions and carpet squares. I also have camp chairs and game rockers. I bought a couch 2 years ago and I have a couch potato each day and they get to choose a friend as a potato chip. I am considering going 100% flexible seating, but what would I do about state testing?? Jimmy, I LOVE your couch potato idea and I know the kids will too! Due to our school policy I am not able to go 100% flexible seating and need to keep some desks in our room. Students needed to use them during state testing. I believe it's possible to use flexible seating during testing if it's something they've done all year, I'd check with your testing coordinator. As far as logistics go, I'd want to make sure the students had a stable surface that was more than a clipboard so there's enough room for their testing booklet and answer key in one space without having to shuffle things around too much. I've seen the yoga balls at Five Below. My concern was that they are adult size and might pose a safety issue if kids can't reach the floor. Did you have this issue? How did your yoga balls hold up? How many popped over the course of the year? I have a 2nd grade class that I'm looking to buy yoga balls for and these are a great price, but I'm wondering about the quality and size. Would they be okay not entirely inflated? Hi! I use yoga balls as stand alone flex seating options. The orange balls in black crates from above are what Simply Kinder uses. You can ask her about sizes at her page: www.simplykinder.com :) If you have any other questions, let me know. I hope you're having a great year!